Each class is responsible for their own Safe & Sober Grad Night Celebration. We encourage all Senior students to get involved….we aim to make this event affordable for ALL, and a safe place for the graduates to let off steam and celebrate their accomplishments. Rosemont PTSA is here to support all students. Our biggest fundraising goal each year is to host a Safe & Sober Grad Night Celebration at a cost that is affordable for all students. When PTSA holds a fundraiser, a large portion of the funds raised are split equally between the classes. You can support PTSA through membership, attending our events or volunteering your time. You can see the progress level for each class by clicking on the class buttons below. If you have any questions or would like to volunteer to help with planning the Sober Grad Night Celebration, you can contact the parent volunteer event coordinator. If you would like to help with your child’s class fundraising, you can donate directly into their Class Account. 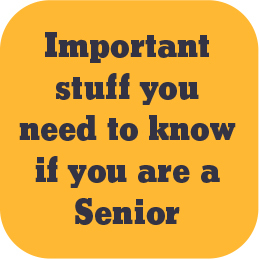 The class accounts are managed under the Rosemont High School PTSA, and the balances and treasurer report documentation can be viewed upon request. Updates are distributed at our monthly board meetings if you would like to know more. Please specify which Graduating Class is associated with your child when submitting your donation. If you are donating towards a specific event, please note that as well. You can contact us at any time at messenger@rosemontptsa.com. Thank you.